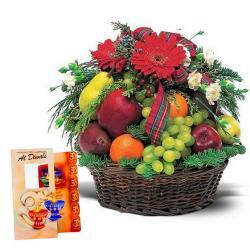 Product Consist : Basket of 3 kg Seasonal Fresh Fruits with 20 Mix Flowers Like Roses Gerberas Orchids and Lilies along with Assorted Fire crackers (Worth Rs.300/-) (Note: Types of Fire Cracker are depends upon their availability no specific choice). Diwali is the festival of love and light. 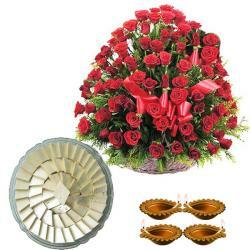 Celebrate this Diwali with pomp and gaiety by delighting your loved ones with exciting gifts. 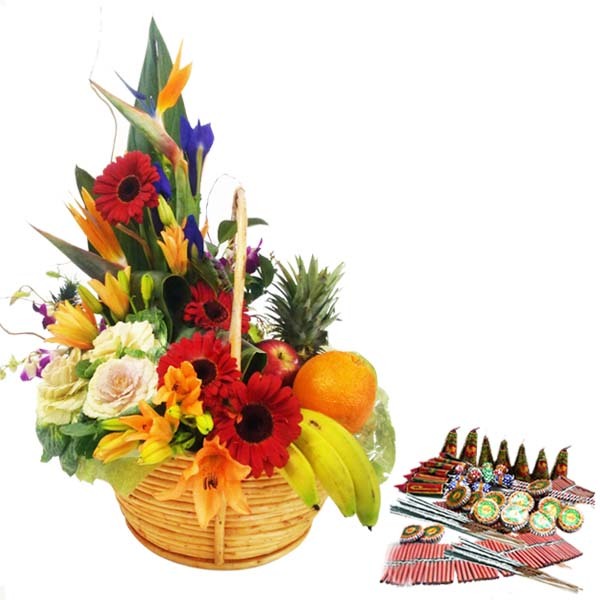 This is a stunning combo of includes basket of 3 kg seasonal fresh fruits with 20 mix flowers and a pack of fire crackers that include flower pots sparklers sparkler threads and ground chakkars. 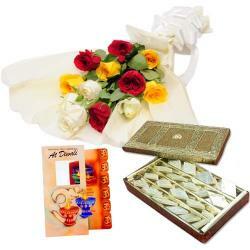 This amazing gift combo is all set to bring biggest smiles on faces of your dear ones. So go ahead and make it a memorable celebration for them by sending them this gift combo. 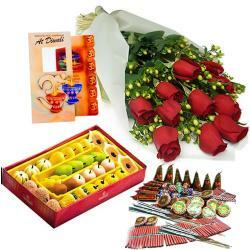 Product Includes : Basket of 3 kg Seasonal Fresh Fruits with 20 Mix Flowers Like Roses Gerberas Orchids and Lilies along with Assorted Fire crackers (Worth Rs.300/-) (Note: Types of Fire Cracker are depends upon their availability no specific choice).